A recent graduate of Kansas State University, Ty Schissel remembers being “blindsided” – but in a good way – when he heard about internship opportunities in the Great Plains Conference. Active in the K-State Wesley program, Schissel will be one of three pastoral leadership interns this summer. “I’d really like to have some experience to apply what I’m learning in the classroom while I’m actually at seminary,” Schissel said. He is one of more than 30 interns this summer for the Great Plains who gathered at Kansas Wesleyan University in Salina the week of May 22 for an internship retreat. The interns will be spreading through the region this summer as part of Micah Corps, teaching Vacation Bible School, serving as pastoral leadership and youth ministry interns, as well as young adult leadership and new church development. This is the third year for the Great Plains internship program, and the Rev. Nicole Conard said it is the most intense orientation so far. 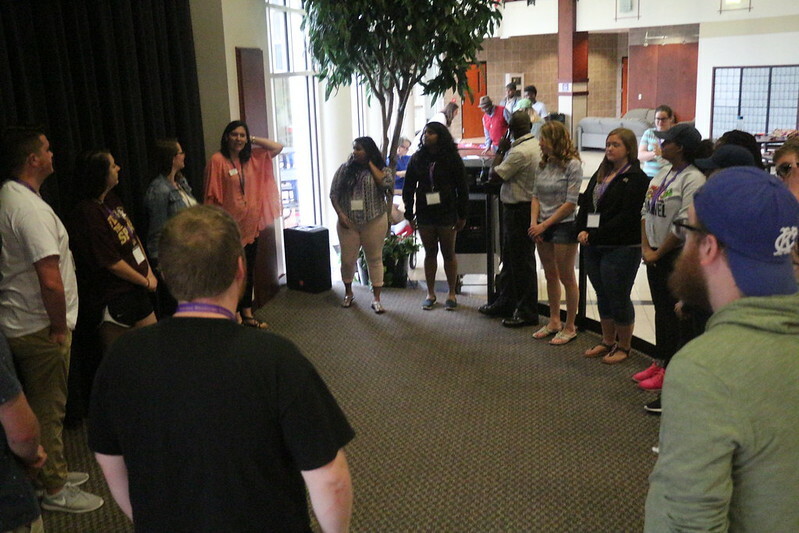 “We decided to focus on the opening retreat being the biggest kickoff yet,” said Conard, the conference’s coordinator of young adult leadership. The first day of the retreat focuses on the individual. The second is on groups, the third is on purpose of mission, and the final day is the sending forth. Instead of a closing retreat, which has been conducted in the past few years, interns will receiving what leaders are calling a “Who Cares Package” at various points throughout the summer.